Shows featuring Rev. 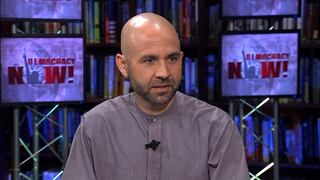 Chris Antal | Democracy Now! Minister for the Unitarian Universalist Congregation at Rock Tavern, New York, and a founder of the Hudson Valley, New York, chapter of Veterans for Peace. 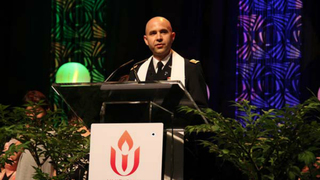 He served as a U.S. Army chaplain in Afghanistan before publicly resigning over the Obama administration’s drone warfare program.